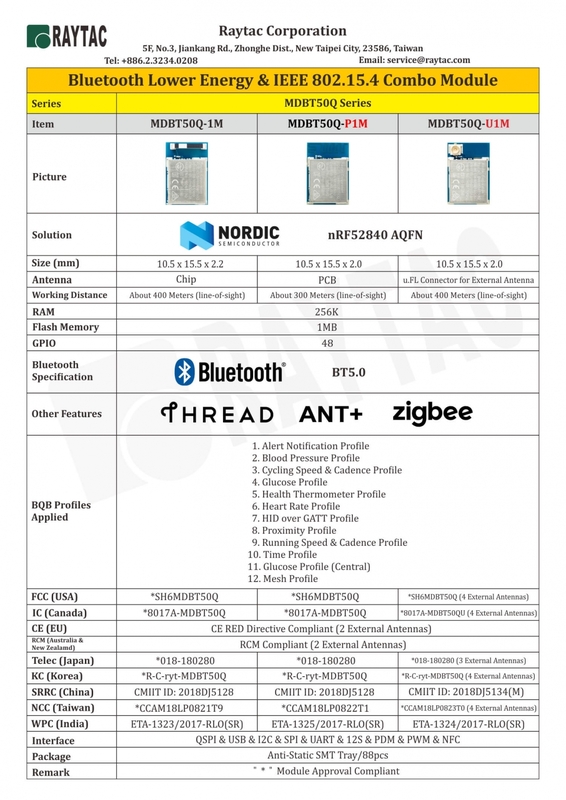 Raytac MDBT50Q is a BT5 pre-certified module with 10.5 x 15.5 x 2.0 (2.2)mm dimension incorporated ARM Cortex-M4F CPU with 48 GPIO pin. Safety regulation covers FCC(USA) , IC (Canada), MIC Telec (Japan), KC, (Korea), SRRC (China), NCC (Taiwan) and CE (Europe), RCM (Australia & New Zealand) compliance. Another highlight of MDBT50Q series module is providing the external antenna options. 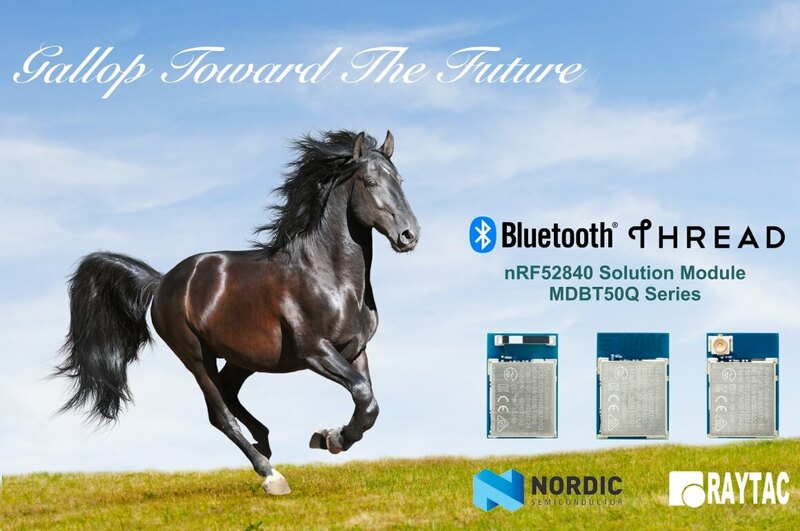 To meet recent dramatically increasing IoT demands, MDBT50Q offers a completed RF solution bring the high flexibility and market efficiency not only by Chip and PCB antenna options as other nRF51 & nRF52 series, but also a u.FL connector option for those applications need external antenna to enhance the long range usage.